No one ever said that moving is easy—unless they are selling tried and true residential moving services. For the average person however, moving can be a huge pain. In most cases, there are many hassles that can be avoided when you move during the summer months. The weather is nice, children are out of school, and you probably have some vacation time saved up. Though great, there’s always a downside. 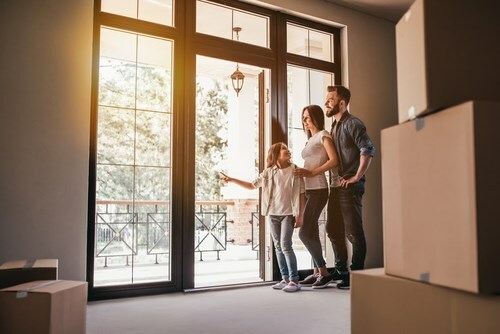 · Quality movers are in demand: Reliable moving companies are booked up fast during peak moving months, so it’s a good idea to secure your spot right away. · Summers are busy for your family: Although your family might have some time off from work and school, you’ll want to make room for family fun; early planning means more time off! · It’s smart to get an early start: Moving takes a lot of work, and there’s always chance of unexpected challenges. The earlier you get started, the smoother moving day will go. This is the why, but the real question is, how? Waiting until the last minute to plan your move isn’t the best choice, but what should you do to get going? Before you start throwing items into boxes, take a look at these useful tips. Set an ideal moving and arrival date, then allow from some wiggle room incase of inclement weather, illness, or some other unforeseen obstacle. Though a simple step, this will get you ready to consider the more in-depth details of your move. Unless you’ve moved before, you might be surprised at how much goes into even the simplest of relocations. Take some time to jot out a list of must-dos like switching utilities, completing a change of address, enrolling in new schools, and getting rid of items you won’t be taking with you. This will get your mind ready to face the challenges ahead, and you can amend your checklist as you go. Moving during peak season can be more expensive than off-season relocations. For this reason, it’s a good idea to set some financial boundaries ahead of time. Research moving companies and compare prices—just beware of low-cost scams that result in expensive property loss. You could also find ways to save some money like having a pre-move garage sale or packing non-fragile items yourself. Once you’ve set a date and have a good idea of what your move will require, it’s time to find a good mover. When researching moving companies, make sure you’re working with someone that is experienced, BBB-accredited, and provides the services you need. It’s also a good idea to check customer reviews and look for moving companies that offer up-front cost estimates. Are you ready to plan your perfect moving strategy? Whether you need long-distance movers on a budget that will treat your household right or a qualified commercial moving company that has what it takes to get the job done efficiently, Simonik Moving & Storage is here for you!